If you are looking for an affordable way to add flair to your current home décor, then you may want to consider wall wraps. Wall wraps come in an array of designs, ranging from your favorite sports teams to your favorite actor, all the way to your favorite quotations or video game characters. Furthermore, these wall graphics can be installed on any external surface, whether it be your walls, doors or ceilings. You can also add your personal touch to the wall wrap, by making suggestions regarding the size, design, and colors. With all the possibilities available to choose from, the sky is the limit when it comes to getting a wall wrap in your house. Wall wraps are scratch-resistant and durable graphics that do not only come in a single-size rectangular format. Instead, they can be cut into silhouettes of the subject matter, so that you can get rid of the background. Listed below are top 3 advantages of getting a wall wrap for your home. 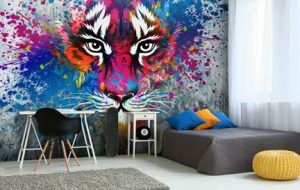 Unlike painted walls that must often be cleaned to retain their luster, wall murals are extremely durable and call for little to no maintenance over the years, thus saving you a great deal of time, effort and maintenance expense. In general, these wall wraps can last up to five times as long as paint under normal usage conditions, which means they can save you a good chunk of money that you might have spent on repainting the walls. Whether it is in the form of a cheesy quote, your favorite movie or a result of your creative imagination, wall wraps allow you to express yourself and let others get a glimpse of your personality. You can get as creative as you like with the choice of your wall wrap, which can then act as a daily reminder of what you like, what you stand for and what you are passionate about. At present day, wall wrap companies specialize in creating different types of wall graphics, logos, signs, personalized banners, and posters that are made precisely after keeping customer specifications in mind. This means that a wall wrap(s) you invest in will be completely different, original and one that exists nowhere else. Having an aesthetically appealing work of art hanging by your house can be a nice change of scenery for both you and your family members, along with visitors and guests and be appreciated by them, as opposed to much of the stale design that they are used to seeing on a regular basis. To learn more about wall wraps and wall murals, contact the Lucent Graphic Solutions team today. Your consultation with us is free.